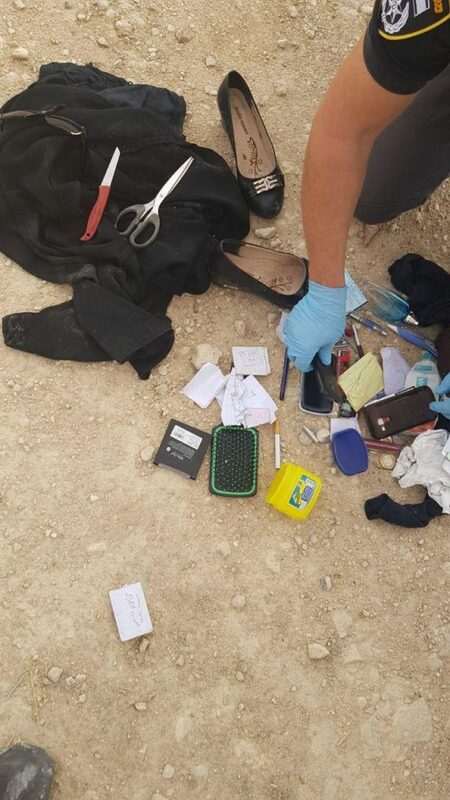 An Arab woman attempted to stab Israelis at a gas station in Maale Admumim, police said Tuesday afternoon. The incident occurred when security officials attempted to check her bags. The terrorist pulled out a knife and attempted to stab the security personnel. The personnel shot at her and neutralized her. Baruch Hashem, there were no injuries to Israeli personnel. Just a day ago, IDF soldiers in Kiryat Arba foiled a stabbing attempt by an Arab at a checkpoint. In a statement released Tuesday, the IDF described the circumstances of the incident at the Elias checkpoint outside Kiryat Arba. The Arab, according to the Golani Brigade soldier who shot him, was behaving suspiciously and pulled out a knife. The soldier shot the terrorist in the leg, neutralizing him after the terrorist attempted to escape. No Israelis were injured in the incident. Also Tuesday, police in Yerushalayim announced that they had arrested three Arab teens accused of throwing firebombs at an Israeli security vehicle several weeks ago. The three, ages 13 through 16, are residents of Arab neighborhoods of the city. The three were arraigned Tuesday, and the remand of two of them was extended. Overnight Monday, security officials said they arrested 19 wanted security suspects in other areas in Judea and Samaria. The suspects were wanted for participating in rioting and throwing stones and firebombs that endangered Israeli civilians and IDF soldiers. Several of the suspects were also charged with belonging to Hamas. All were being questioned on their activities by security forces.